this is your land. IT NEEDS TO BE PROTECTED. Pipelines are critical to our economy but run across our fragile land. Pipelines are complex, environments are harsh and the pipe coating is a crucial defense to maintain integrity. Building pipelines brings benefits to Canadians including investment in our economy, opportunities for training and employment, access to domestic energy supplies, and additional tax revenue that supports all our citizens. However, pipeline development must be done safely and responsibly using the best available technologies to ensure the land, water and heritage of Western Canada are preserved. Utilizing the best available pipeline coating technologies ensures this vital infrastructure maintains its integrity across the region’s challenging environmental and operating conditions, during the entire life cycle of the pipeline project. The pipeline industry is committed to keeping Canadians safe by taking design, construction and operation practices to the highest levels. Over the last 60 years, Shawcor has developed a deep understanding of the unique challenges of working in the most strenuous Canadian environments. We’ve taken everything we’ve learned and developed the best available pipeline protection anywhere. Others in our industry are focused primarily on producing high-quality steel pipe. At Shawcor, research, innovation, development and application of pipeline coating is our business. 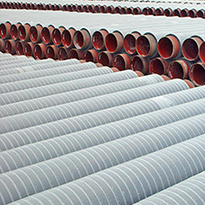 Our main focus is providing the best coating solutions available for pipeline projects. To ensure pipeline integrity, it is critical to apply appropriate coating systems that match the environmental and operating conditions that the pipeline will experience during its life cycle. Western Canada has demanding construction and operating conditions requiring the best available anti-corrosion coating and bendable concrete technology to provide superior protection for the pipeline. 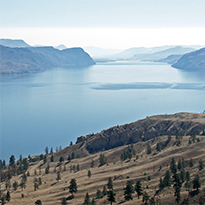 At Shawcor, we advocate for applying best global practices in protective coatings and pipeline construction that ensure the environment and people remain safe across Canada’s most rugged and unique landscapes. Shawcor's research and development team has created advanced coating solutions, with an extensive track record, globally and in Western Canada, for pipeline projects in more strenuous environments. We work in collaboration with pipeline owners and operators, key suppliers and research institutions to ensure pipeline integrity through the development of advanced coating technologies. We want to highlight the importance of selecting the best pipeline coating systems so you can join regulators, pipeline operators and stakeholders who care about protecting pipelines and preserving our lands. When selecting the appropriate coatings for a pipeline, it is important to take a long-term view that considers the pipeline’s entire life cycle, which could span 50 years or longer. Several risks are present at each stage of the life cycle, at different intensities, which must be addressed in the coating selection. Pipelines must be able to resist the effects of aging, corrosion and physical damage from impacts, gouges and abrasions. In total, an appropriate pipeline coating system typically represents 1% to 2% of the overall pipeline cost, a relatively small amount for the protection it provides and not a barrier to selecting best available technology. Pipelines bring benefits to communities and our citizens by moving oil and gas safely across Canada every day. At Shawcor, we believe that safety is the number one priority for pipeline owners and operators, key suppliers, regulators, and stakeholders who are involved in pipeline development. We think that sharing information about pipeline coating systems provides ongoing education among these groups to ensure that the highest quality pipelines are built across Canada. Provincial pipelines are regulated by the B.C. Oil and Gas Commission (BCOGC) in British Columbia and the Alberta Energy Regulator (AER) in Alberta. Interprovincial pipelines are regulated by the National Energy Board (NEB). For large-scale pipeline projects where a federal environmental assessment is required, the Canadian Environmental Assessment Agency plays an important role, as well. Often, a regulator will review a proponent’s application or project description and, if approved, add conditions that the proponent is required to satisfy to ensure the project is safe, environmentally responsible and considers the interests of citizens. If the regulator believes that the proponent needs to enhance their pipeline coating, they can require a proponent to do so. Shawcor is headquartered in Canada and is proud to employ over 1,200 Canadians. We are global leaders in technology and innovation, and excel in complete pipeline coating solutions that solve today’s project challenges. With decades of innovation and experience, we’re constantly developing new products and infrastructure to enhance the reliability and safety of pipeline projects.